In this short, but comprehensive guide, we will explore the different types of screws, including their size and head type. You will also learn the difference between metric and imperial screw sizes. By the end of this guide, you'll be able to make an informed decision on which screw you need for the job you're tackling. Screws are categorised by the type of material they're suitable for fastening. Some screws are sold as ‘multi-purpose’, so double-check these screws are ideal for the material you're fastening. The most common types of screws and their characteristics are listed below. For a comprehensive visual guide to screw types, check out this PDF from Bolt Depot. Screw heads have an indentation at the top for inserting a screwdriver. A slotted head is where the indentation goes straight across. Slotted heads are rarer these days, as the indentation is more likely to be a cross shape. If the cross shape has another, shallower cross running through it, then it is a pozidrive head screw. Otherwise, the screw head is a phillips. Phillips screwdrivers can be used for both pozidrive and phillips heads, but it’s better to use the corresponding screwdriver for the type of screw being used. Screw heads can be flat, domed, or slightly raised. Flat screws are also known as countersunk because they sink into the material and sit flush with the surface. Domed screws, sometimes called rounded, have a pronounced dome on top and are used for decorative surfaces such as mirrors. Raised screws are, confusingly, flat on top but the head is thicker than flat screws, so they do not sit flush. Raised screws are also used for decorative surfaces, such as light switch covers. Metric screws are measured by the diameter and the length, both in millimetres. Imperial screws are measured by gauge and length, the latter of which is measured in inches. Imperial gauge refers to the diameter of the screw, but is an assigned number, not a measurement. The higher the gauge number, the larger the screw. You can convert between the two using this handy conversion chart. ZYP: Zinc and Yellow Passivated. As ZP but with an extra layer of passivation which improves protection from corrosion. Your DIY store should have labelled screws according to what material they can be used for (wood, masonry etc.). You then need to consider the screw length. For example, if you are screwing together two pieces of wood to make a box, at right angles to each other, and the wood is 24mm thick, then your screw length needs to be at least 48mm long. This 48mm figure includes 24mm to pass all the way through the first piece of wood plus another 24mm to firmly anchor into the second piece. The type of screw head you choose depends on the finish you want. E.g. 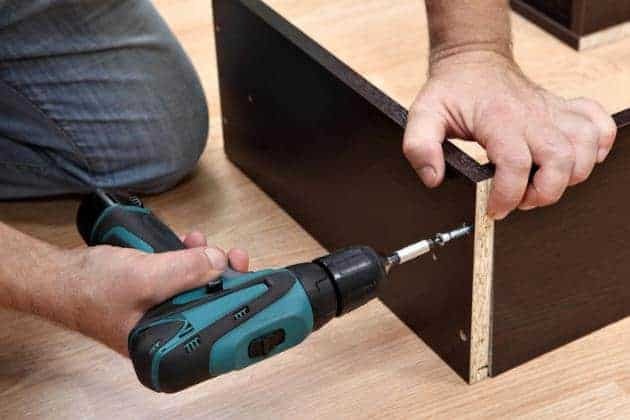 for a smooth, flat finish, use flat head screws rather than raised. You now have all the information you need to make an informed choice when at your local DIY store.